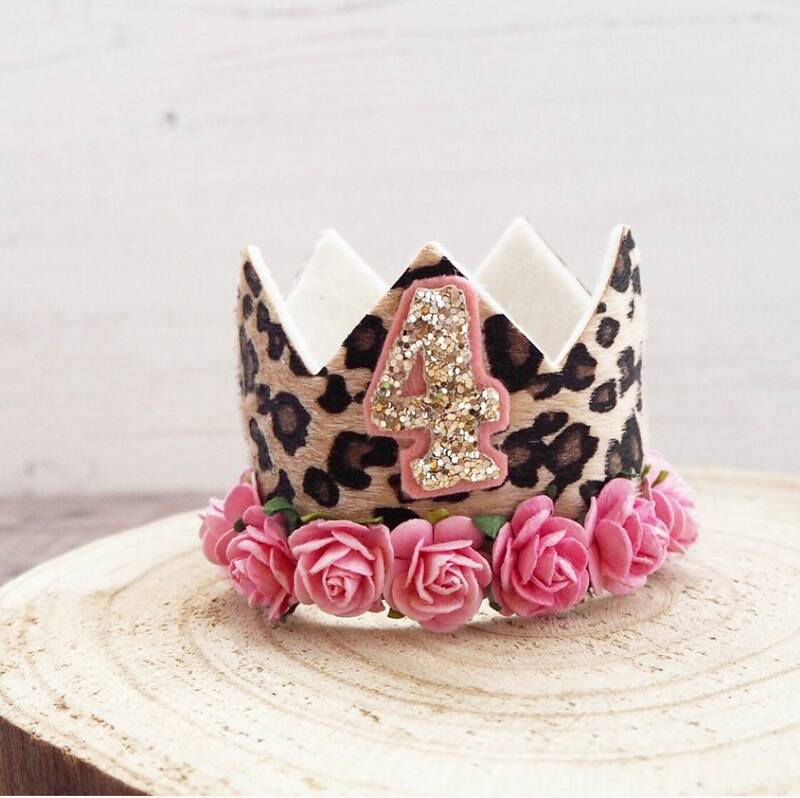 A gorgeous crown fit for a princess! 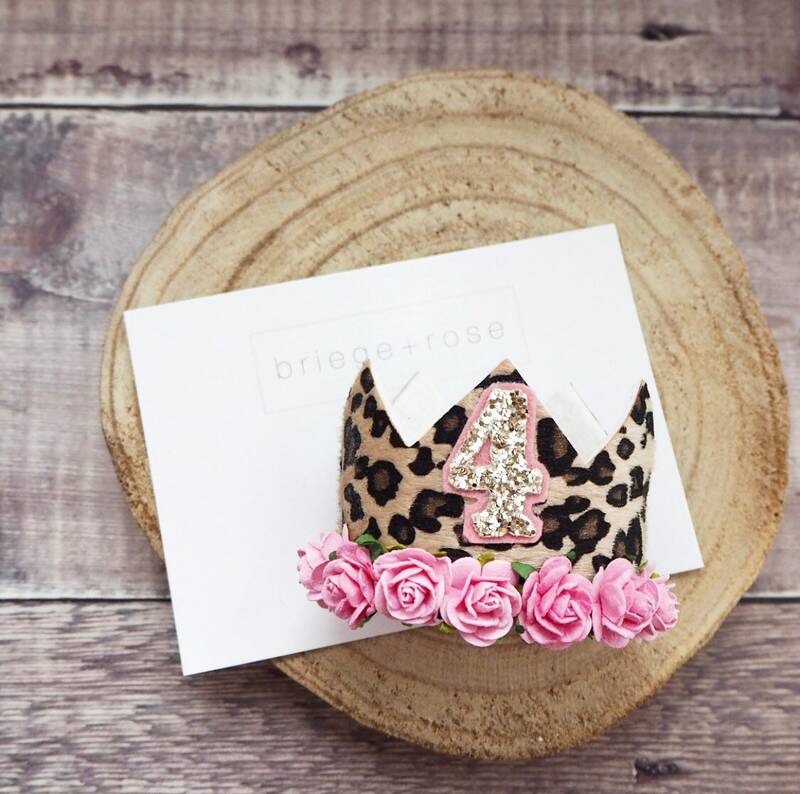 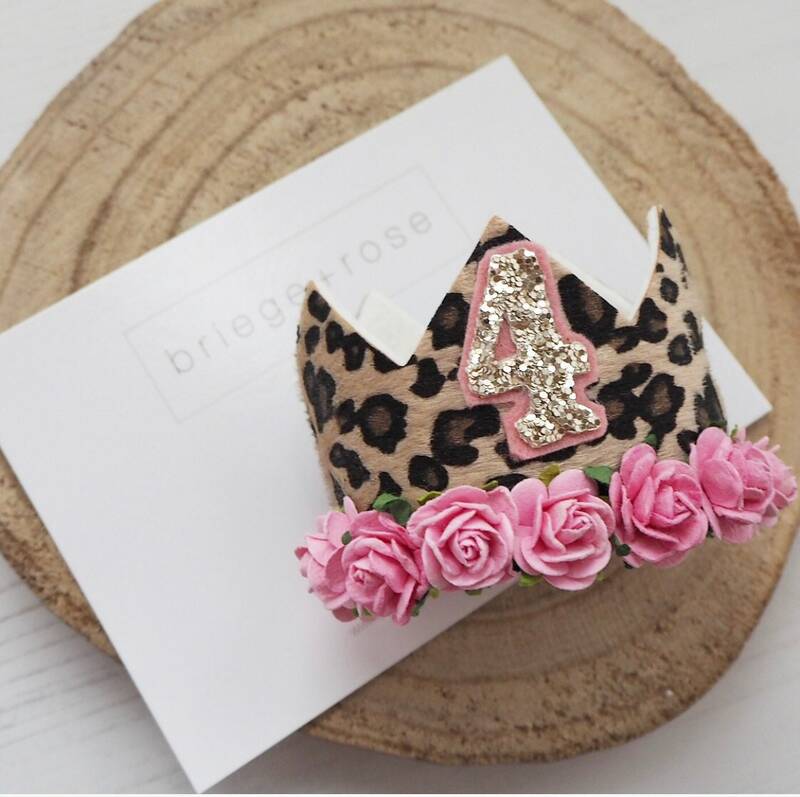 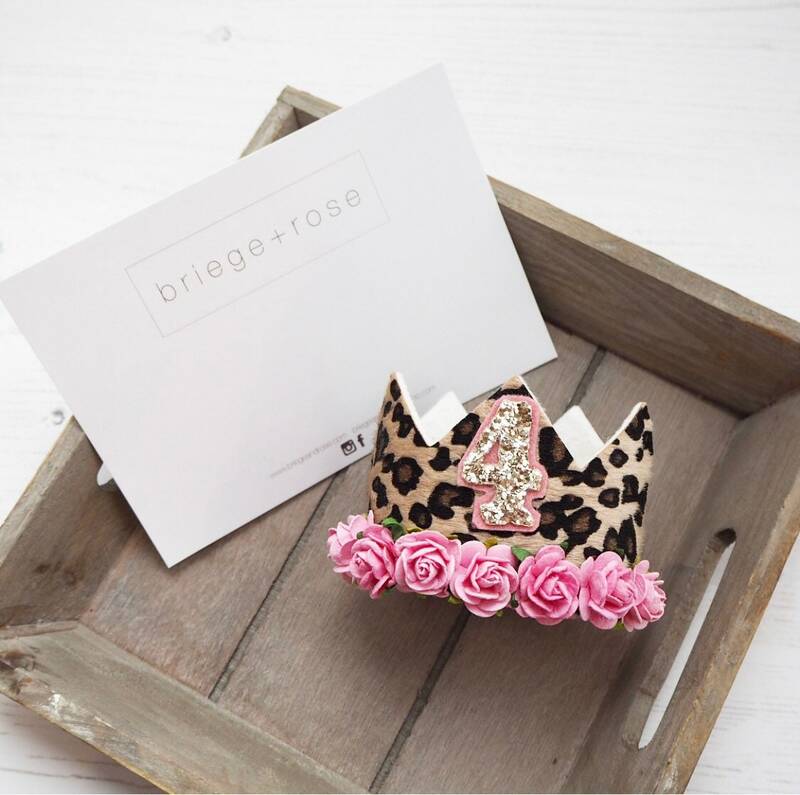 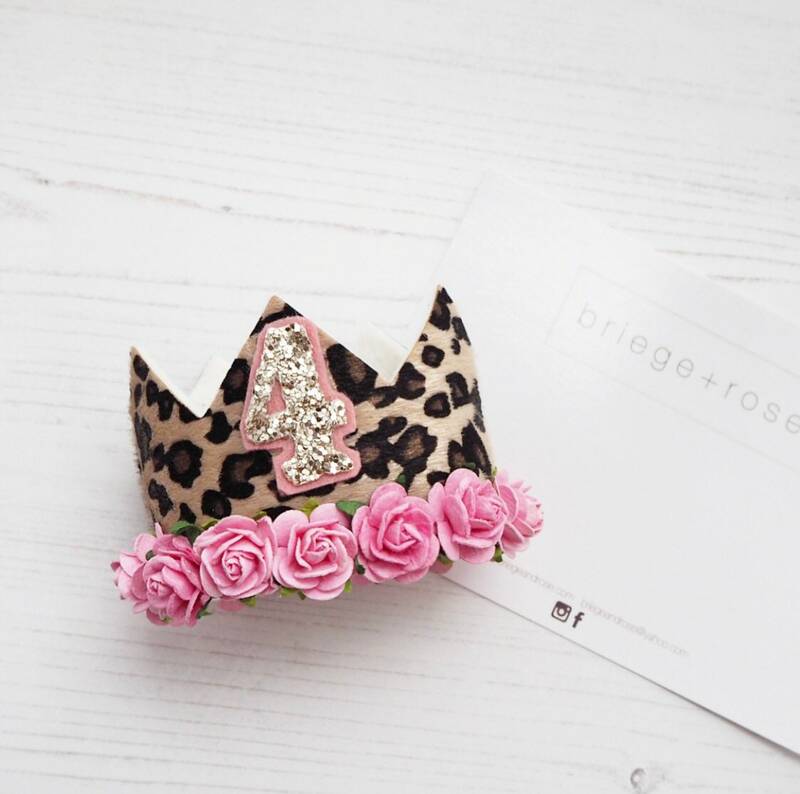 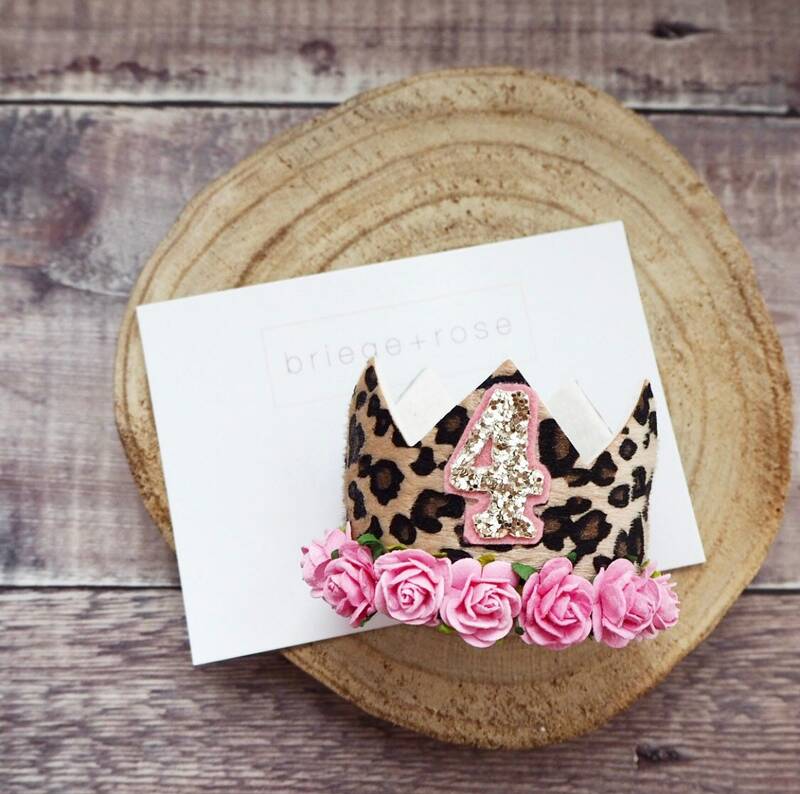 This stunning animal print crown is adorned with a number of your choice in gold glitter and finished with hot pink flowers! 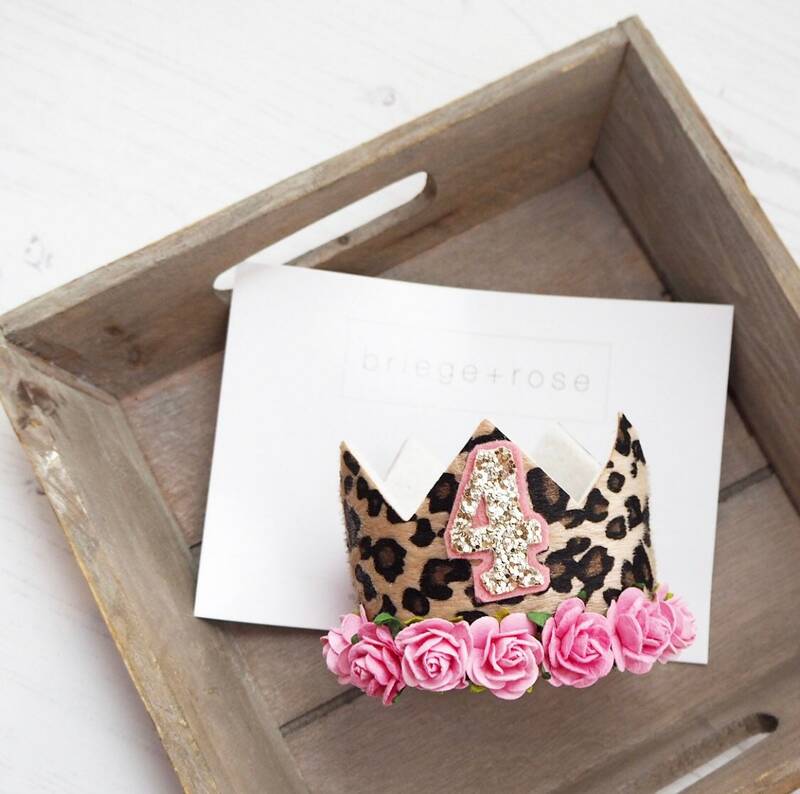 The crown comes on a super soft nylon headband which fits all ages. 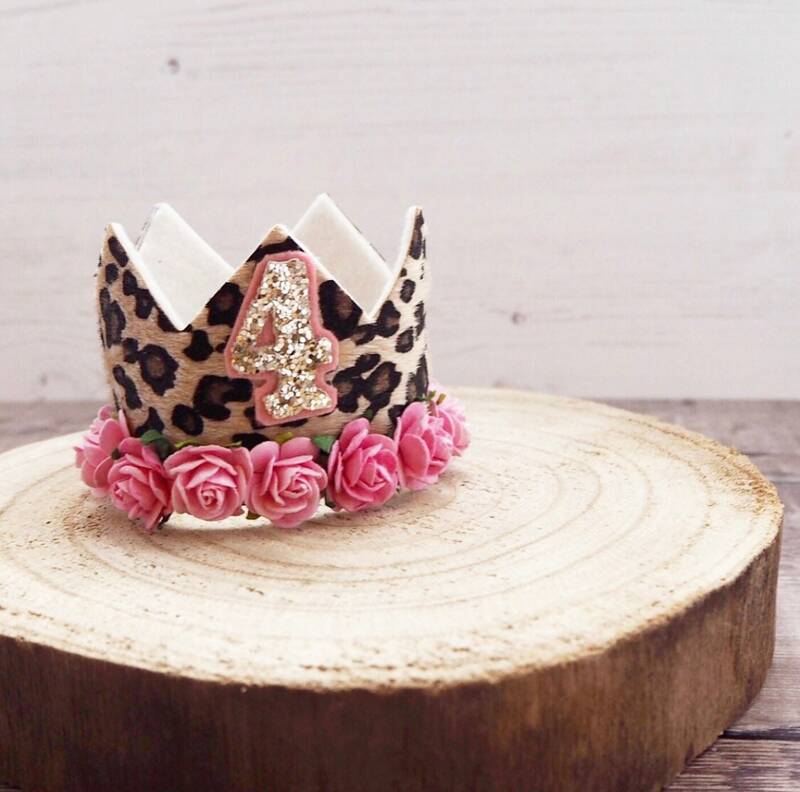 * Please note this is designed as a photo prop only. 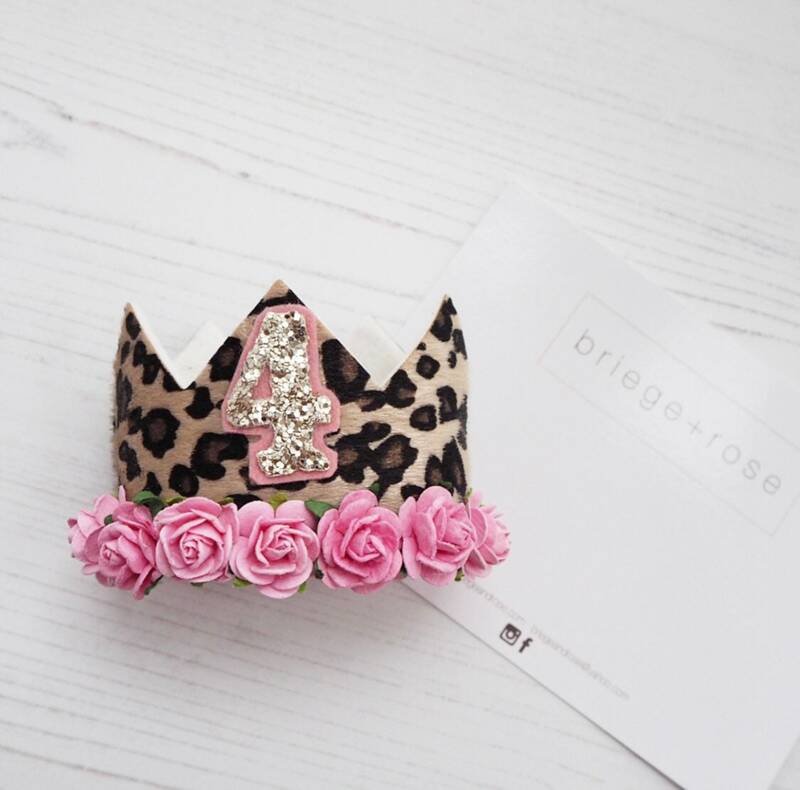 It contains small items which could become detached. 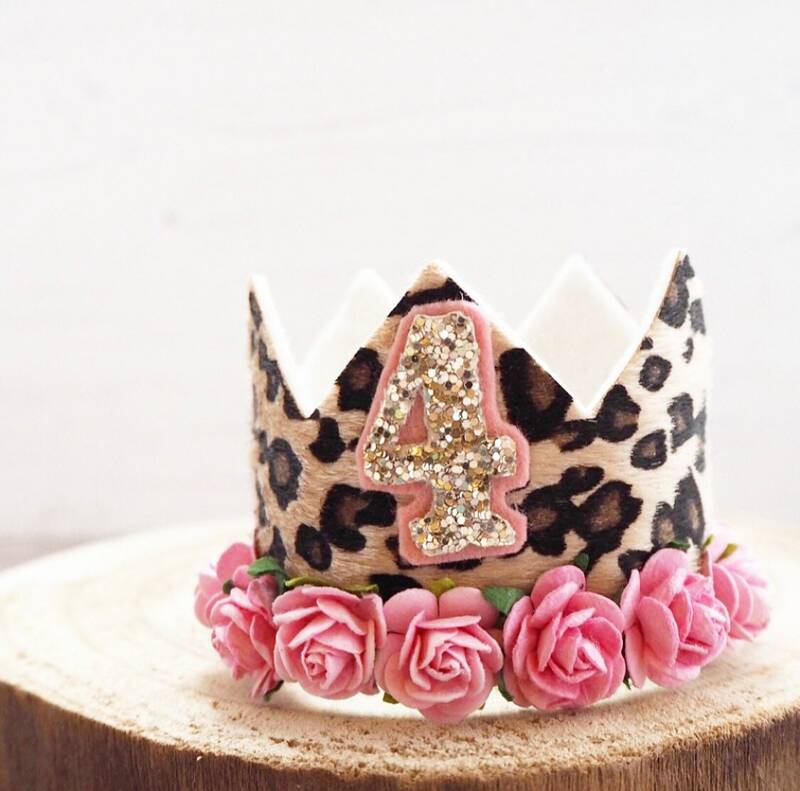 Always supervise a child wearing this and do not let them play with the crown or wear it whilst unattended or asleep.